When you are stuck in complicated grief, you feel like you are in the middle of the ocean, drowning. You are desperate to keep your head above water, but it is hard, your arms and legs feel like concrete. You are so tired of struggling. You wonder if it would just be easier to relinquish to the waves and allow yourself to go under. But, there is some primal instinct in you that demands that your lungs receive the oxygen that will keep you alive. There is also a part of you which knows that your lost loved one does not want you to give up. People who love and support you are nearby in boats, but they are unsure of whether you need help, and if so, how to help. You don’t understand why the people in the boats can’t see that you need someone to pull you out of the water. Your supporters never fully comprehend the depth of your struggle, or that they were witnessing the near drowning of someone they love. You eventually understand that there is no lifeline waiting to be thrown to you from the well-meaning, but unaware, supporters in the boats. Exhausted, you force yourself to keep your head up and continue treading…every movement and breath feeling like it may be your last. Suddenly, your mind offers you a suggestion that you have never considered before — is it possible that your panicked struggling may be what is dragging you under? As you make the decision to surrender, you stop struggling and turn yourself onto your back. You make the incredible discovery that your body is buoyant. Some part of you knows how to stay afloat. You gently float on the surface of the water, your face turned towards the sky. Looking up, you notice for the first time since your grief began, that the sky is full of brilliantly, luminous stars. Suddenly you realize you are not alone in your struggle, and that the stars are symbolic of a greater ‘Cosmic Source” that is there to guide and encourage you. You also understand that your lost loved one is there in the stars as well. You continue floating, keeping your eyes on the majestic beauty of the stars, until you’ve regained the strength and clarity to figure out how to get yourself to shore. You don’t have a soul. You are a soul. There are practical tools that can be used to heal complicated grief, but, in my experience, the ultimate healer is spiritual evolution. Your soul intrinsically knows what you need to heal your heart. No one wants to experience complicated grief. I was drowning in it for many years before I figured out how to pull myself out and onto shore. It’s not easy. Complicated grief is not for the weak of heart. But, if there is a solution to easing your pain, don’t you want to find it? 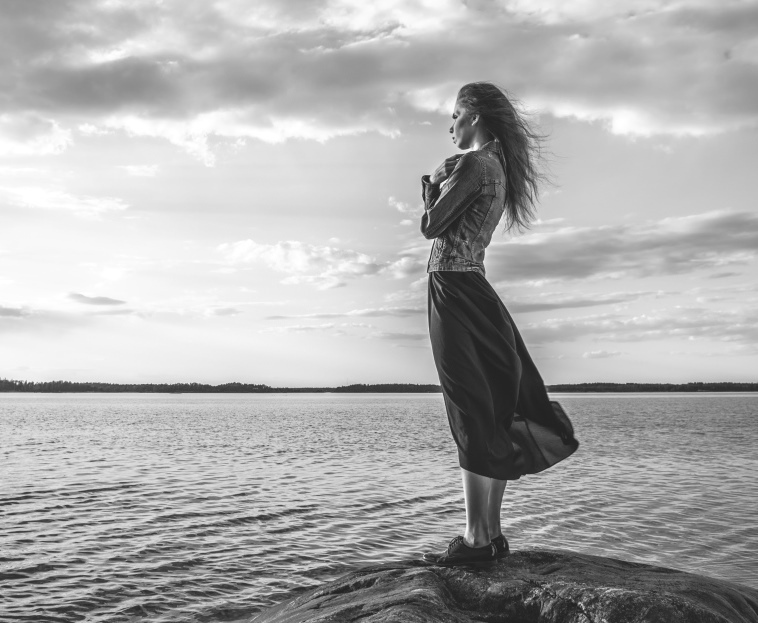 My grief journey started in 2006 when my husband died in an airplane accident leaving me a widowed mother of four children, the youngest was two-years-old. Two years later my son, who’d had two kidney transplants during his childhood, died of kidney failure. I also personally dealt with three separate life-threatening medical illnesses during this time. I was drowning and could not catch my breath. Ultimately, the tools for healing are within your grasp, but the choice of whether to reach for them is solely yours to make. You may not be emotionally ready to commit, but, you can start thinking about what it takes to get you through this. Be mindful of the energy you allow around you. Grief puts you in a very fragile state and you absorb any negativity that may be around you. Surround yourself with people who can be empathetic to the pain you’re experiencing. If someone says something insensitive once, assume that it was unintentional and make yourself let it go. However, if someone shows you that they are consistently insensitive or hurtful, do not be around them. You have to make your well-being a priority. Hurtful words and negative energy turn into toxicity that will only pull your further down. Protect yourself. Imagine an protective energy field surrounding your body when you are around others. Understand that it is ok to ask for help. When you are dealing with grief, you will find that the every day activities that you used to accomplish with ease, now feel like you are setting out to conquer Mt. Everest. Find those few people you know you can count on and let them know you are struggling. Maybe you ask for help getting your kids to after-school activities, or help temporarily paying your bills. We all need help sometimes. Most people trying to support the griever don’t know how to support you. You have hands that are reaching out to help you. Give them a specific task that can help you feel less overwhelmed. Surround yourself with a community of people who are experiencing similar pain. Being part of a support group, and knowing that there are others going through the same pain as you, can help relieve the loneliness of the grief journey. Modern day access to the internet has made it easier than ever to find support. Something as simple as googling ‘grief’ can bring a treasure trove of resources to directly to you, no matter where you are. There are interactive support groups on facebook and other social media sites. Use these resources. Find activities that bring you comfort. What is it that brings you some modicum of happiness? For me, I discovered that watching HGTV and then repainting some of the rooms in my house was very therapeutic. While painting I listened to self-help and spiritual audiobooks on my ipod. The repetitive motions involved in painting, along with the audiobooks inspiring me to make change in my life, brought me a lot of comfort. Figure out what is helpful for you. Maybe it’s working in the garden, or volunteering. Find what brings you some joy and make yourself do it. * Beware of harmful activities that bring you a false sense of happiness. Doing things like shopping in excess, drinking alcohol in excess, jumping right into another relationship, etc… may bring you an initial sense of relief but will hinder your healing. If it has been more than a year since the loss of your loved one, do your best to control the amount of daily time that you spend actively mired in the pain of grief. I look back now and see that I lost years of my life because I didn’t believe that I had any control over my thoughts and feelings. Basically, my thoughts and feelings controlled me. Give yourself a period of time during the day to allow yourself to feel the pain. During this time, try to make yourself remember not only the loss, but the wonderful experiences that you shared with your loved one. When we are in complicated grief, usually our default memories about our lost loved one, are painful memories surrounding the loss. Change that default picture! Remember the love. And then remember that love cannot be lost. There are times when the grief will hit us out of nowhere. We are fine one moment and the next moment, we are on our knees. Use the same guidelines as above. Give yourself time to feel that pain that is demanding to be felt. But, add the positive memories into the painful emotions. Eventually you will get to a point where you can smile while you shed tears. When you are in pain, write down your feelings. You will be surprised at how therapeutic journaling your experience can be. The pen can become a tool that allows the expression of the pain as an outlet for the grief to flow out of you and onto the paper. If it has been more than a year since your loss and you are still in as much pain as you were the first month, and you are struggling to find meaning in your life, you may need more help to get through your grief. Start with your family practice physician and they will be able to refer you to local resources to help you deal with your grief. The Center for Complicated Grief has been studying and treating complicated grief for two decades and has been very successful in helping those suffering from complicated grief move on an lead meaningful lives after loss. You can find out more information on complicated grief at http://www.centerforcomplicatedgrief.org. You may be asking yourself what a spiritual path has to do with healing grief. In my experience, unless you have an established spiritual foundation that you are confident in, it is essential that you at least consider the possibility that there is a spiritual path that is out there waiting for you to discover it. Your personal spiritual path can be used as a light to help guide you through the dark days of grief and eventually assist in bringing you out on the other side. What do you believe? Do your beliefs help you through the experience of losing someone you love, or do they cause more pain and confusion for you? If your beliefs do not help you deal with the loss of your loved one, you may not be on the right spiritual path. Your personal spiritual path may be out there waiting for you to find it. I want to note that if you are happy with your spiritual or religious path and teachings, you are right where you need to be. There is no reason to read on. The following information is for those who have unanswered questions or who do not find comfort and resonance in the current path they are on. How do you find your spiritual path? What questions do you have about death, life and God? You will find that the questions about what happens after death lead to deeper and deeper questions about the meaning of life, and why we’re here. These questions will help you as you start your search for your spiritual path. Read. Research. Whether it be Eastern philosophy, New Age theories, near-death-experiences, or one of the world’s major religions; find what resonates with you. Use one, or many spiritual teachers/paths that resonate with you as stepping stones to help you develop your spiritual path. Maybe one specific religion or path is what is right for you. But, it is possible that there are several teachers that can be utilized to make a foundation for your personal spiritual path. Core teachings of major religions; Christianity; Judaism and Buddhism- A great book that describes the common root at the core of the major religions is ‘The Wisdom Tree’ by Gary D. Guthrie. I am sharing my personal spiritual path with you not as an endorsement of what I believe your path should be, but as an example of the process I went through to find my spiritual path, and the tools I used to help eventually heal my own complicated grief. We each have our own path to find, but I hope that some of the suggestions that I’ve shared will resonate with you and that you can use them to help you on your journey. Getting through complicated grief is not easy, but you can do it. I promise that you can be happy again. Different, but happy. Just keep moving forward–and remember, the wind cannot break a tree that has learned to bend. And, although we might each appear as individual trees, standing on our own, through our shared roots we are all connected and strengthened. I to am drowning and need to find my way again. I have torn myself apart after the loss of my 32 year old Son on 9-28-2008. It is like I do not have a soul anymore. I to have questioned the faith I had before. I felt if there was a God he would have had mercy on me and taken me to my Son years ago. I shall start reading the authors you have advised. May I ask where you found your path to have ended up? Hi Penny. I’m so sorry about the loss of your son. Losing a child is heart wrenching, our mother’s hearts will always long for them. Finding my spiritual path has been a decade long process and while I wish I could point you down one specific spiritual path, that is not where my path has taken me. I have taken multiple spiritual truths that resonate with me and placed each one as a stepping stone, to eventually develop my spiritual path. I have come to believe that God does not control the world as we have been taught to believe. We are spirits, created by God, who have decided to have this human experience. As spirits we want to have the human experience to have the extreme experiences of duality, love and pain, sadness and happiness, heart break and ecstatic love. We came to experience maternal love, friendship, intimacy….the vast myriad of emotions that we don’t experience the same way when we are in our eternal forms of spirit. Within this human experience, bad things happen, that is just the nature of human life. We can’t prevent it. But we can do our best to live as fully as possible while we’re here. This is a temporary experience and we are truly never separated from our loved ones, although it feels as if we are. We are all struggling, and doing the best we can. This life thing is hard. Kindness is the key. Kindness to not only others, but kindness to ourselves. My path is ever evolving, as I am open to all of the possibilities that the universe holds, and I believe that while we are here within the body, we will never fully understand the divine nature of the spiritual realm. Reblogged this on The Other Side of Complicated Grief. I found this article to be very helpful and insightful and I am truly sorry for the loss of your loved ones .The only part that I can’t quit grip is if after one year you are still feeling the same grief as when it started, it may be time for help. It will be two years in June since my son took his life, the grief is now worse than when it happened. I believe it’s due to having been in shock the first several months if not longer. I am only now beginning to understand the enormity of the situation. Little by little, I am waking up in a sense, and I am beginning to grieve for my son at a completely deeper level. By putting a time frame on the process, we are back at “you should be over it by now.” I have read and been told that everyone grieves differently, there is no right or wrong. The way I feel now is I may never feel any better, and I don’t think getting counseling is going to help. It won’t bring my son back, I don’t want to “move on”, There are so many questions that I will never have answered, my son is not even buried in the US as I was not allowed to bring his body home from Peru and was forced to bury him there! I did not go to his funeral nor do I have a access to his final resting place. He was here one day and the next, gone. No closure or final goodbyes. I am not a complete wreck, I get through my days, I am functional and I experience love, happiness and even contentment at times, but in the background, underneath, my heart breaks every moment I breath. I always feel it, it’s always there…..
Oh my gosh! This is exactly how I feel! I’ve tried to explain it to others but I’m met with blank stares and the inevitable “pat on my arm” … The drowning feeling that never goes away…the horrible realization that NO ONE is going to save me. It’s the lonleliest feeling in the world. It’s horrible to feel it and swallow it night after night. Knowing the lonely feeling of treading water, and being so exhausted will not go away. I want it to go away, but it never does. It’s been 14 years this Friday since the death of my husband. I want to be better. I want to be happy again. But I don’t see it. I want my life back. I’ve spent the last 14 years trying to understand, trying to be better, trying so hard. But I still am so sad. I’ve been to doctors…they about killed me with meds…was on 13 antianxiety, antidepressants…..after years, now I’m on no meds…. I still feel the same. No better… Just still sad. Thank you for your articles.Thank you for acknowledging This is real. Please pray for me. Two life changing NDE’s experiences early on left no doubt that God is real. From that point on I was on a spiritual and theological quest. I faced every negative situation with prayer, and felt led and guided, understanding that I’d written my own blueprint: that I needed to overcome certain challenges to evolve spiritually. I led my life for more than twenty years striving to be selfless, the goal to have unconditional love and forgiveness for others….as well as myself. My husband was unable to control his anger, became abusive with e, but worse, our young children. I spent more than ten years struggling to keep our family together – leaving once for our safety – returning ro worse abuse and chaos, and leaving again a few yeras later, He begged me not to divorce him, promising he’d get help, but instead he spent his time with lawyers and I was blindsided by the most brutal, ruthless legal battle, as he and his unethical lawyer did nothng but build up a case of lies, slandering and accusing me of so many horrible things – I felt like an incident criminal defendant. It was two years of my children forced to spent time with their abuser, while they cried and became seriously depressed, anxious, stressed and suffered from even more trauma….they were already emotioanlly fragile – as was I – after so many years of abuse. But for some reason, this insane Judge and all the handpicked/paid for experts all agreed that I was guilty of PAS: parental alienation syndrome, so much so that I was court ordered to “seek help” since it was clear I was in denial. The whole thing was crazy – my children had disclosed the abuse to more than fifteen mandated reporters, were in therapy to help cope with the abuse…..but now they’re being told I’d “brainwashed them” ….which was so far removed from the truth, given I wasn’t aware of most of the abuse, they told me, and they were frightened, sad and confused as to why NO one was listening to them. The real nightmare began when two months ago, without any warning, this Judge yanks them from school, crying and terrified, granting their abuisve father FULL custody and he takes them 500 miles away. I’m considered a threat, even though there’s NO proof of what I’m accused of, and there’s overwhelming proof that he’s abused us for YEARS. The Judge actually referred to him as the victim. I was beyond stunned and grief stricken to the point of intense despair. Despite the facts, I’m not even allowed contact, except for a two hour (supervised, since I’m a threat) visit just once a month, and I’m forbidden from attempting to tell my side of what’s happened: the TRUTH. I’ve been let down by every lawyer I’ve had, the system failed to not only protect my children, but rewarded their abuser …..who now is forcing them to live such a twisted life of lies, I’ve only seen them once, the cried and clung to me the entire time. The cost of the visit is $300, paying for the supervisor and gas….and what my ex did next made my life even worse. I’d been awarded my car, health ins, my pension and monthly support – I’ve been disabled by a failed spinel surgery since 2010- and his lawyer filled sanctions against me and took EVERYTHING back, I’ve been left destitute and I’m facugj homeless less just as Thanksgivhg starts. I’ve no money for my daily required medications, they’re not covered by Medi-Call and I’m so seventy depressed I can’t think straight. As for finding support? People to understand? There isn’t anyone who CARES. The worse the abuse became, the more introverted I was, and every friend Ive trieded reconnecting with, basically has ignores me. No one wants to hear this – and they don’t care that this Judge is under investigation for case tampering and favoring abusers…….she’s still actively ruling. My own dysfunctional family supports HIM, aside from one sister, a church pastor who lives 2500 miles away. I was diagnosed with PTSD specially due to the abuse years ago, and upgraded to Comolex PTSD a year ago, as my family was imploding because of his vicious lies. I’ve had their friends call me, telling me they’re crying, homesick and to urge me to “please keep fighting to get them home” and how badly they’re doing……but nothing I do is working, and not being able to rescue them – is causing such overwhelming guilt/pain, it’s hard to breathe….and I cry and cry. I’ve spent every waking hour on a campaign to find any advocates …..called hundreds of lawyers, every legal agency, abuse advocacy organization, politicians and governers…….for months….and NO one can help. What kills me is that I stayed strong for my children, as we would pray daily, have positive visualizations, and power thoughts all over the house, assuring them that as long as we “kept our thoughts positive and prayed, complete with being grateful…..we had the “truth and God on our side” – there was no other option than victory. At the visit through their tears, they asked why God wasn’t keeping them safe and why this was happening ……I had no answer…..their sad eyes spilling over with tears HAUNTS me. They asked me to send my shampoo and perfume so they could “smell me”. ………my heart was literally ripped open. My innocent children were wrongfully taken away from their loving mother, I’m penniless….and have no options. My entire life was destroyed and all I’m left with crushing sadness and grief so crippling, I cry every day, sobbing myself to sleep. It HURTS to be alive. NONE of my prayers are heard and all the guidance and comfort I’ve had for years is GONE. I’ve smudged, sprinkled salt, mediated and begged for ANY sign. Nothing. Absolute silence. No comfort, no sign ……and my despair is now so bad, I’ve lost my will to live …..and death is an absolute welcome idea for peace at this point. I’ve lost my faith in humanity and my spiritual faith….which I never thought could, much less would …ever ….happen. My children don’t deserve this and my sadness burns in chest from the moment I wake up. It’s a nightmare that won’t end and I ask others to pray for my children. 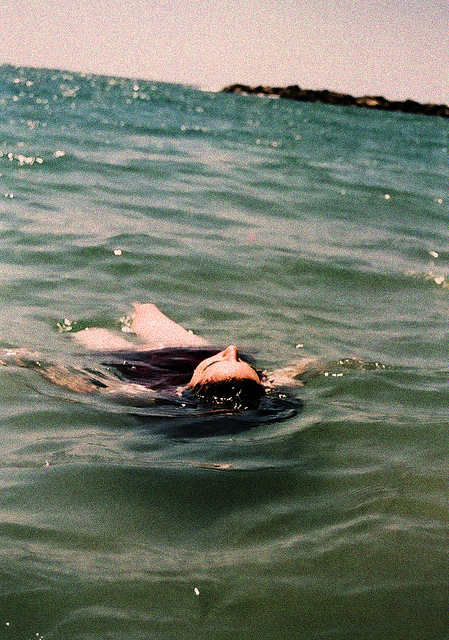 I came across Drowning in Complicated Grief: How to be Your Own Lifeguard. I love writing in metaphor. I love reading metaphor. It can be so powerful. 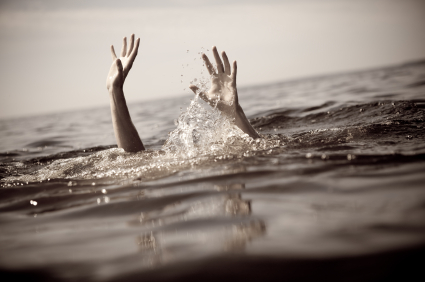 I found this metaphor hard to take as a bereaved mom whose son drowned five years ago. I don’t think images evoking other types of fatalities would be chosen in a grief article. I am five years out. The thought of a fresh, raw, newly bereaved mom whose child drowned coming across these images and this metaphor troubles me. Thank you.